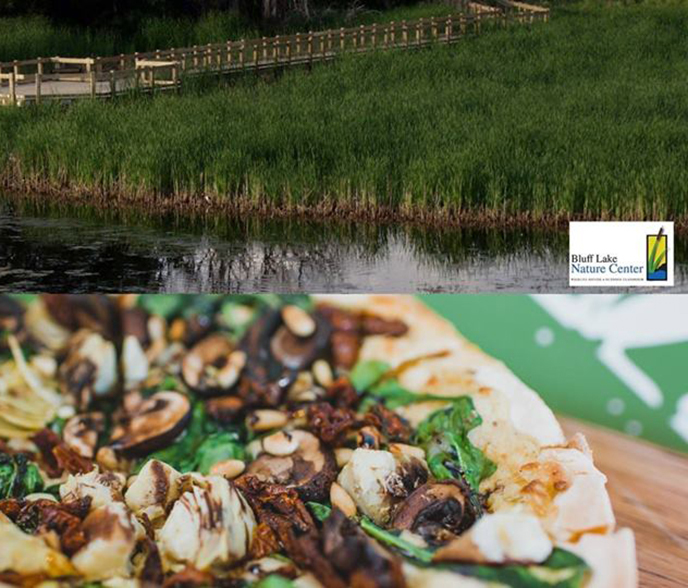 Dine at Sazza in the Stanley Marketplace on Thursday, July 26 between 5:00 p.m. – 9:00 p.m.), and 15% of the proceeds will support the Bluff Lake Nature Center. This is a tasty way to support Bluff Lake during National Lakes Appreciation Month – a nationwide recognition of just how important lakes are to our daily lives. Support Bluff Lake Nature Center on July 26 and tell Sazza that you are there for Bluff Lake. You can also become a member of Bluff Lake now!